Norfolk County has the oldest continuously running ALUS program in Canada. Piloted in 2007, ALUS Norfolk has evolved into a permanent, county-wide program. With over 160 farm families already engaged and more than 1,300 acres enrolled in the program, ALUS-Norfolk is helping to rebuild the natural environment via healthy and sustainable farmlands. 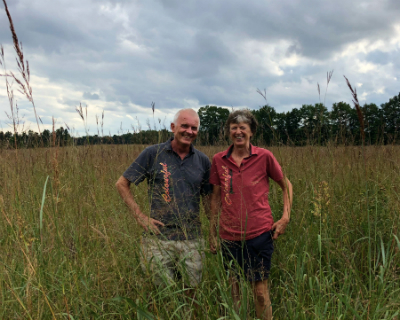 To date, approximately ten percent of all the farmers in Norfolk have enrolled acres in ALUS, to restore wetland habitat, plant tall-grass buffers along streams, and create pollinator habitat among other projects. The Long Point Region Conservation Authority provides technical advice and support to help implement a variety of habitat restoration projects throughout the County.